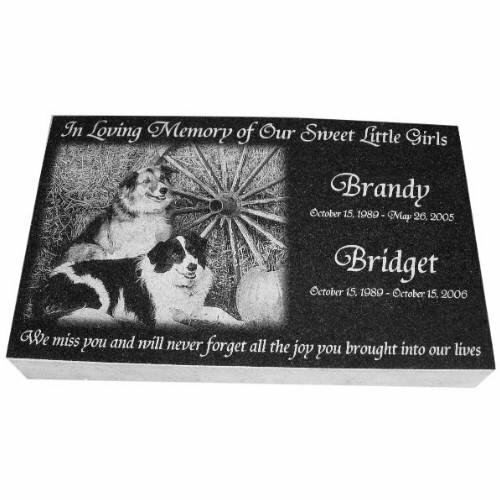 These 2” thick pet grave markers are made from top quality absolute black granite that has been polished to a high gloss finish. 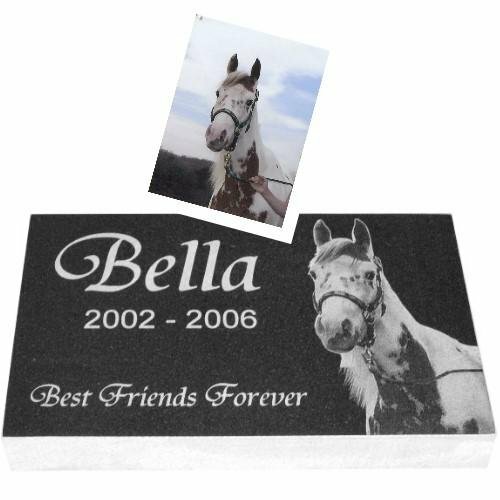 They are personalized by laser engraving your photos and text directly into the surface. 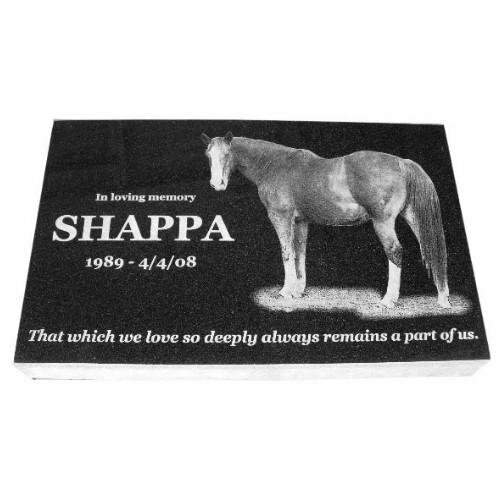 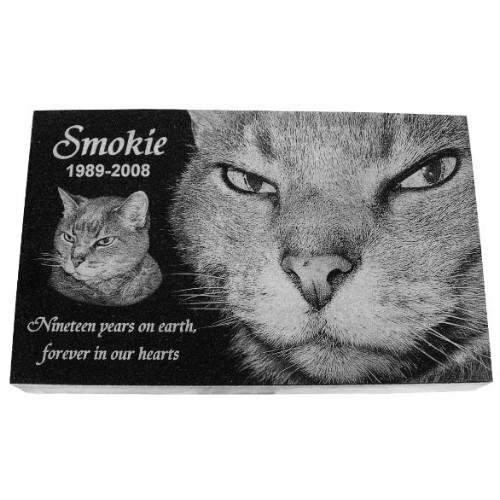 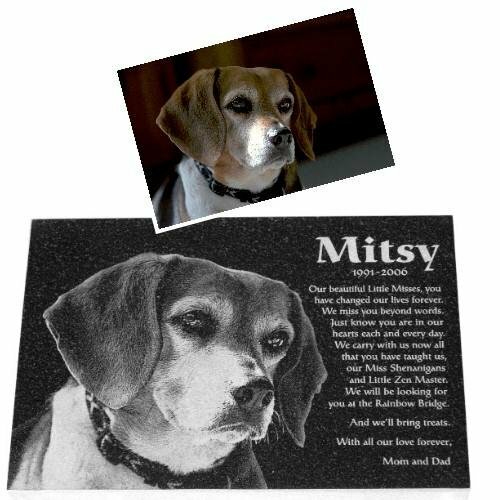 Our pet memorial stones include one photo and your requested text engraved for FREE. 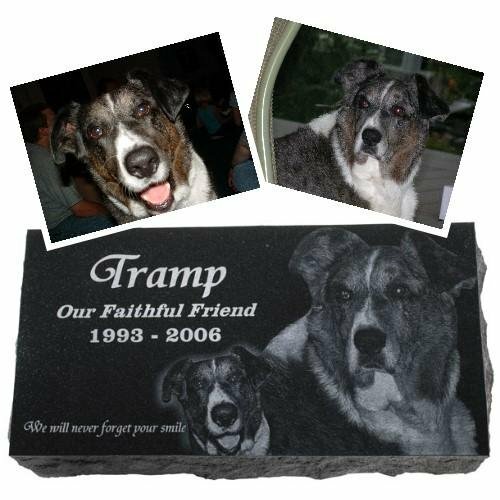 Add $40 setup for each additional photo. 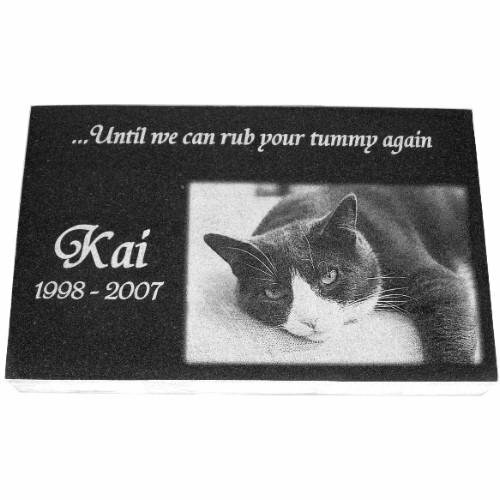 These 3” thick pet grave markers are made from top quality absolute black granite that has been polished to a high gloss finish. 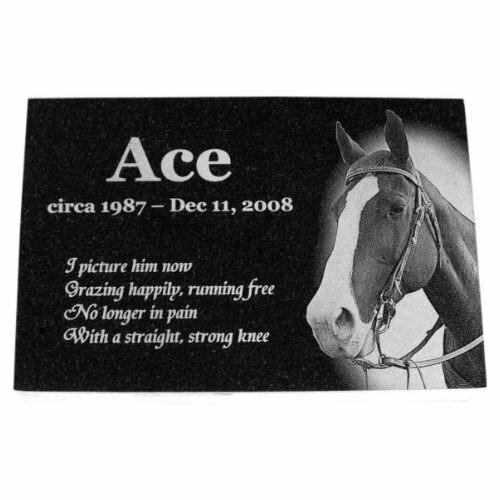 They are personalized by laser engraving your photos and text directly into the surface. 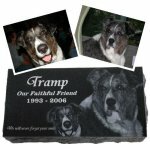 Lift Gate Needed for Delivery? 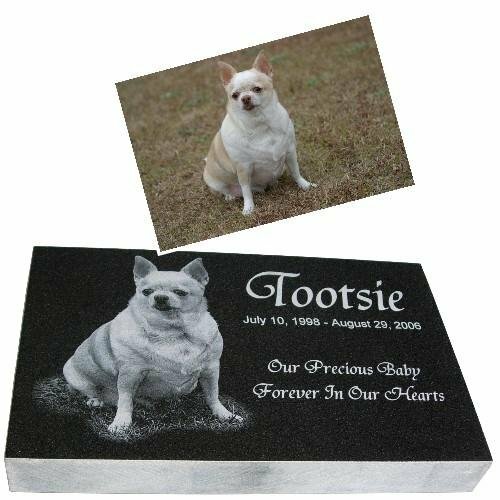 These 4” thick pet grave markers are made from top quality absolute black granite that has been polished to a high gloss finish. They are personalized by laser engraving your photos and text directly into the surface. 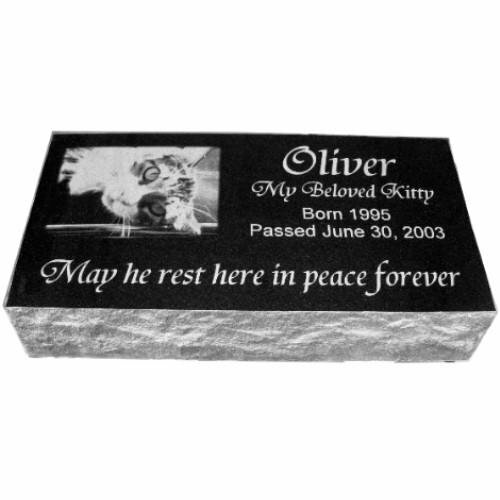 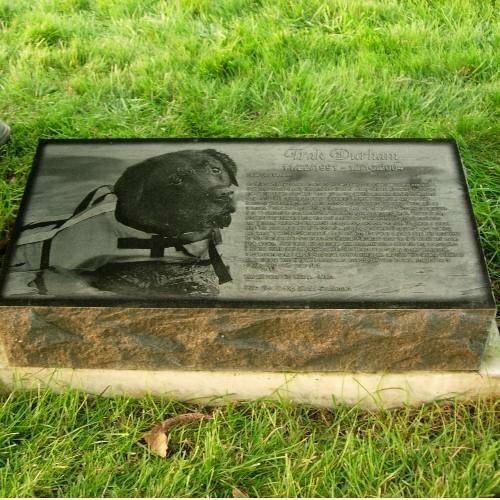 These sloped pet grave markers are made from top quality absolute black granite that has been polished to a high gloss finish. They are personalized by laser engraving your photos and text directly into the surface. 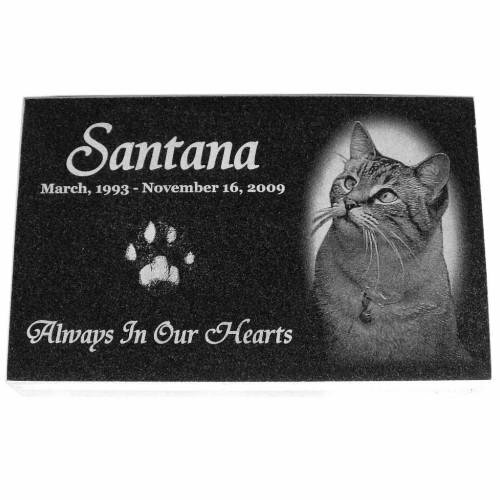 These pet grave markers have a natural slope from 6" in the back to 4" in the front.